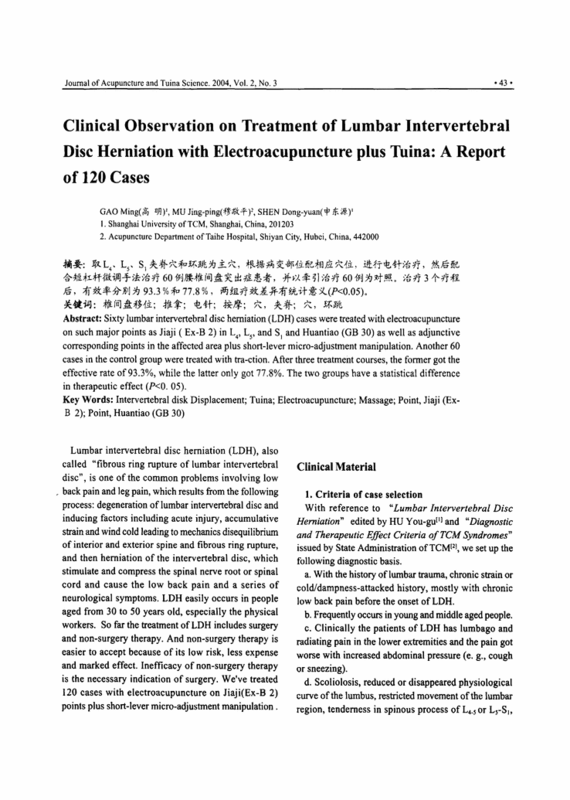 Sixty lumbar intervertebral disc herniation (LDH) cases were treated with electroacupuncture on such major points as Jiaji (Ex-B 2) in L4, L5, and S1 and Huantiao (GB 30) as well as adjunctive corresponding points in the affected area plus short-lever micro-adjustment manipulation. Another 60 cases in the control group were treated with tra-ction. After three treatment courses, the former got the effective rate of 93.3%, while the latter only got 77.8%. The two groups have a statistical difference in therapeutic effect (P<0.05). 2. Acupuncture Department of Taihe Hospital, 442000, Shiyan City, Hubei, China. 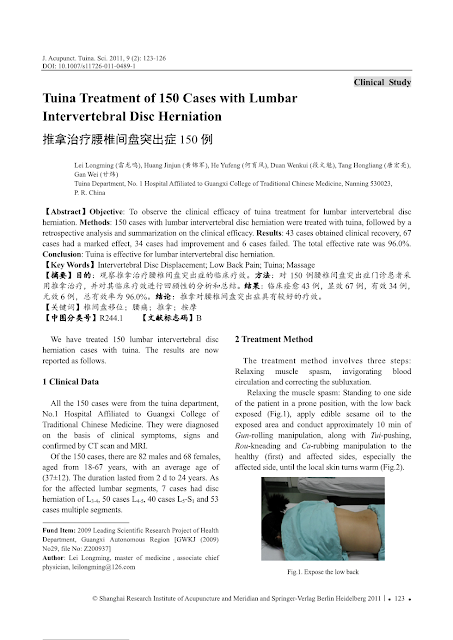 HU You-gu, Lumbar Intervertebral disc Herniation. Beijing: People's Health Press, 1994: 22–12. State Administrationof TCM. 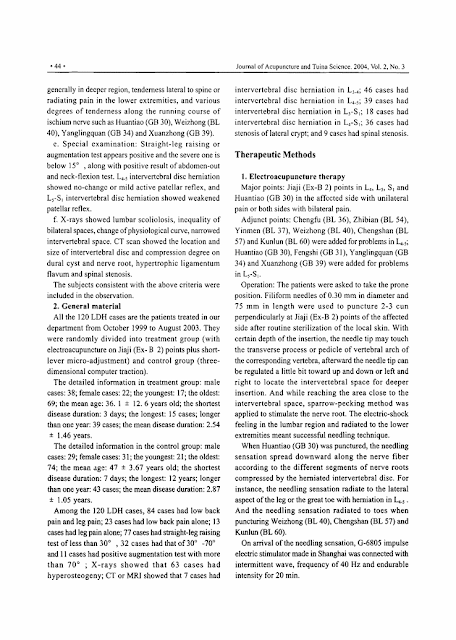 Diagnosis and Therapeutic Effect Criteria for TCM Syndromes. Nanjing: Nanjing University Press, 1994:201. Division of Health, General Logistics Department of PLA. 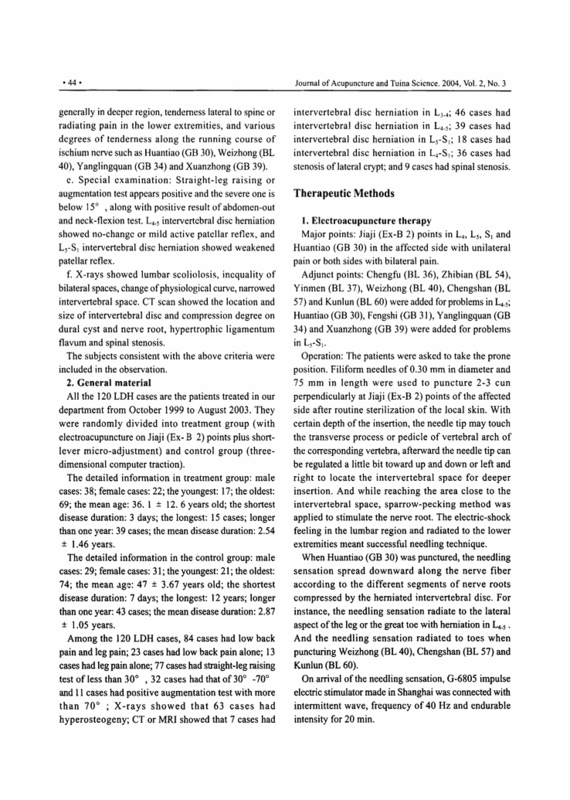 Diagnosis Basis, Recovery and Better Effect Criteria for Clinical Diseases. Beijing: The People's Military Medicine Press, 1987: 705. CHENG Wei. 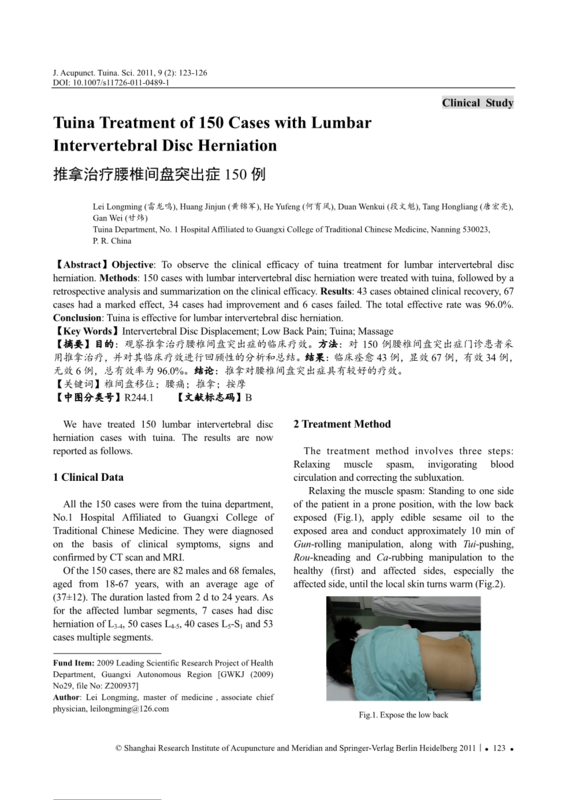 Research Progress on Treatment of Lumbar Intervertebral disc Herniation with Dural Cavity Injection. China Osteo-traumatology Magazine of TCM, 2002, 10 (1): 59.